Why use Broadview Heights, OH Property Management company? Why use a Broadview Heights, OH Property Management company? Consider the following. You can feel secure as you use our Broadview Heights professional services which work as a system to protect you while maximizing your return on your income property. Owner clients have reduced risk with our leasing and tenant guarantees as well as our easy out agreement. Save money and get your house leased quickly with our professional videos, pictures and descriptions being exposed on 100s of websites and way more. Realty Trust Services 7 point screening process gives landlords the best possible chance of getting a great paying resident. Rely on our knowledge to most efficiently prepare your house for rent and select an ideal rental payment. Property owners can rest easy, and get an uninterrupted night’s sleep, knowing our 24 x 7 take that midnight call and dispatch help as necessary. Be in the know and head off potential problems before with exhaustive property walk through video reports. We handle all bothersome collection and emotionally draining collection calls, so focus on the parts of your life you actually enjoy. No knots in your belly this year when you prepare your taxes because all of the reports will be neatly delivered with your 1099. You have the option to lease, rent to own and / or sell your home, simultaneously, if you want. Landlord must obtain a housing license issued by the Code Official for rental properties. Applications for a housing license are made annually by supplying the information and data to determine compliance with applicable laws ordinances, rules and regulations for the existing use or occupancy or the intended use or occupancy on forms supplied by the Code Official. It shall state the name and address of the applicant, the nature and extent of his or her interest in the building for which the license is required, the name and address of the owner of the building, the location of the building, the number of dwelling units and any other information required by the Building Official. Upon receipt of an application for a housing license, the Building and Zoning Department requires an inspection of the rental property and shall not be valid beyond the last day of the twelfth month following the date of issuance, unless renewed prior thereto in the same manner as required for issuance of the original housing license. The Code Official will keep copies of all application and housing licenses on files. If upon inspection of the rental unit it is determined that violation of this chapter exists, notice of the violation shall be made to the owner of the property. The owner or agent shall obtain the proper permits as required by the Building Code to correct the noted violations. No housing license shall be issued until the violations have been corrected and the repairs inspected and approved. The Code Official can also revoke a housing license if the applicant makes any false statements, or if the owner, agent or person in charge of a structure refuses to comply with any provisions. No housing license for single-family dwellings (one-two family dwelling) shall be required for lawful structures occupied by the owner(s) or immediate family member (parent, sibling, grandparent) as the owner’s principal residence. Within six months of not obtaining a housing license a reminder will be sent out to apply on or before 21 days are up. If the owner fails to do so, an undetermined fee will be applied and/or court action. The application for the housing license will cost $50.00 non-refundable for each one or two family dwellings per year. Fee for a double family dwelling is $25.00 per year and fees for multiple dwellings with more than three units will cost $20.00 per unit per year. Also, a re-inspection fee will cost $15.00 per unit. This amount will be assessed by the Code Official Fees. For multiple dwellings with more than three units, fee shall be twenty dollars ($20.00) per unit per year. A re-inspection fee of fifteen dollars ($15.00) per unit shall be assessed by the Code Official. At anytime the Code Official may request an inspection. The Building Official may also hold an inspection every three years, which is dependent on the condition of the dwelling, occupiable structures and premises located within the city. Also, an inspection may also be made whenever the Building Official has reasonable cause to believe that a violation of the Code exists. Notes: The utility must stay in the landlord’s name. a tenant may create a sub account under their name but in order for them to do that, the tenant must go to the water company’s office and provide a copy of the lease agreement, valid ID, and whatever the deposit may be for the property. The security deposit vary from property to property. The bill will be sent to the account holder and if there is another sub account, the bill will also be sent to that account, you cannot request multiple bills to be sent out. The Property Management Agreement is sufficient enough to allow us to start service, or change an existing account. Notes: Broadview Heights does not provide water, Cleveland Utilities does. Notes: Utility must be in the landlord’s name if it is a single meter property, if there are multiple meters the tenant may then have the utility in their name. Proof of tenancy is only required if there is an outstanding balance or if it is suspected that one of the persons in the home owes the utility company or has committed Gas theft. Proof of tenancy would be id and lease documents. If you are starting or transferring service to five or more properties, you must fax information to RESEARCH AND RESOLUTION DEPARTMENT. The information they require are the business name, tax number (if you are not transferring a company, you will need the individual’s social security number), name of person responsible for the account, number of contact person, address to send the bill to, contact person and number in the case that an appointment for hook up needs to be scheduled. There is only one billing address allowed, however, a landlord can have a notification set up if the property is scheduled to have the gas disconnected or if the tenant has scheduled to have the gas turned off. A Property Management Agreement between the landlord and us is acceptable to make changes to service. Meters are read monthly and billing is done monthly, unless there has been a transfer of service in the middle of a billing cycle. Notes: It is up to landlord, if they want to keep utilities in their names that is fine, they can also have utilities in tenant’s name. Tenant may need to show proof of residency only if there is an outstanding balance owed. The security deposit is determined on roughly how much the property’s usage will be. Security deposit can be added to first month’s bill and if switched into tenant’s name, within a year the security deposit will be transferred back by check. Questions that are asked when transferring a company’s utilities: Need address of the company, property name/company name, tax identification number (if you are transferring an individual’s utilities and not a company, you will need their social security number), credit check done on company name, what is the primary source of heat? Is the water heater gas or electric? They will allow you to enter a different mailing address for the bill to be sent to. Multiple bills may be sent out at no extra cost. If utilities are in the tenant’s name, the tenant must request this otherwise, we will nor will the landlord be able to have access to bill. Change of service cannot be faxed, person must call in themselves. We can call on a person’s behalf only if we have verification information so it is good to get the client’s social security number. Ohio Edison sends bills every month as well, they attempt to take the meter reading every month. AT&T Notes: This is also the same as U-Verse. This service can be put into the tenant’s name. This is done by a ‘Name of Change Responsibility’ form. The company MUST speak with person who is having the service installed. There is a credit check done, however, it is very rare that a security deposit will be required. Only required in extreme cases where the person owes hundreds to the company. The person connecting the service will need to provide name, date of birth and social security number. If the service is initially in the landlord’s name, the landlord must call AT&T, let them know that there will be a change of ownership of the account, then the tenant must call and provide information. The switch of service from landlord to tenant is instant as of the tenant calling. The information cannot be faxed and a Property Management Agreement is not acceptable. Also, this company does not utilize multiple billing in anyway, only the owner of the account can receive information or change information on the account. The bill will come out monthly on the date that service has commenced. Notes: This is also the same as U-Verse. This service can be put into the tenant’s name. This is done by a ‘Name of Change Responsibility’ form. The company MUST speak with person who is having the service installed. There is a credit check done, however, it is very rare that a security deposit will be required. Only required in extreme cases where the person owes hundreds to the company. The person connecting the service will need to provide name, date of birth and social security number. 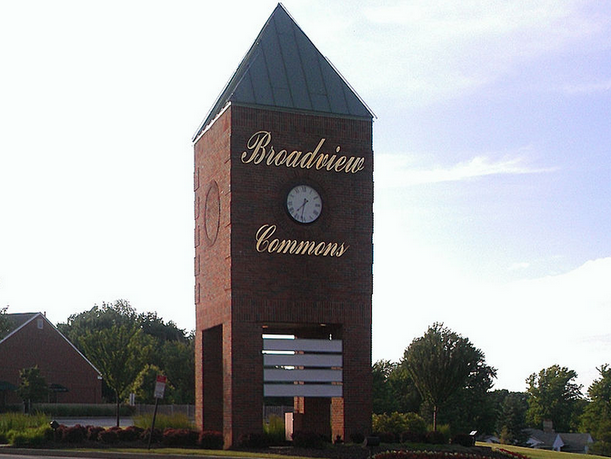 Broadview Heights city is in Cuyahoga County, Ohio. As reported by the 2010 census, the population in Broadview Heights was 19,400. Until 1811 when the first white man settled there, Native Americans preoccupied the area. The United States Census Bureau states that the city is 13.07 square miles; 13.05 square miles of land and .02 square miles of water. The zip code is 44147 and the area code is 440.